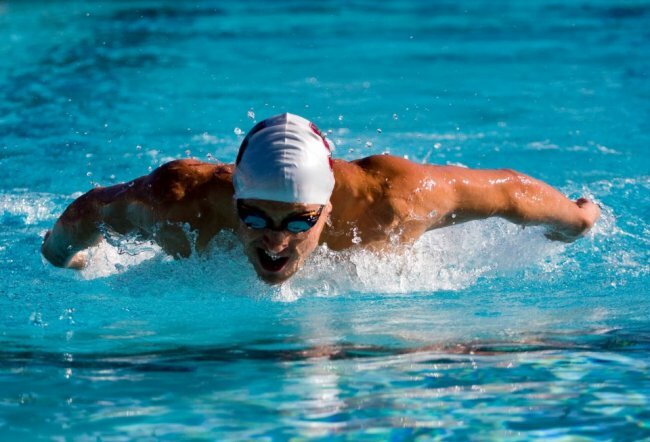 Jason Dunford recreated the Beijing magic during which he stunned the swimming world with his Olympic record, with a brilliant win in the Butterfly dash in the sixth round of the FINA World cup series. Four years after the fantastic 51.14 seconds win in the 100m fly that granted him a historic Olympic final qualification, the top Kenyan swimmer waded his way in similar fashion for the 50m fly gold at the National Aquatics centre ‘the Watercube’ in 23.14 seconds. This was his second dash gold after the opening leg in Dubai and a couple of near misses in Stockholm, Doha and Moscow last month. Dunford skipped Berlin (October 20-21) the fifth of the eight leg series to recoup after a hectic last six weeks, which besides the world cup series he also competed at the African swimming championships. The break seems to have worked for the reigning Commonwealth fly champion as eased his way through his morning heat in 23.24 seconds the second fastest time of the day just 0.01 slower than Chinese Qibin Zhang winner of heat four. His usual solid start again counted as he tapped the wall first and managed to hold off the charging Chinese competing for his club at the series. Zhang was timed at 23.16 for silver as Australian Ashley Delaney settled for bronze in23.43. On Saturday Dunford will be in action in the 100m fly.